An inexpensive drone that allows a person to record live videos to the web just by attaching his or her smartphone. 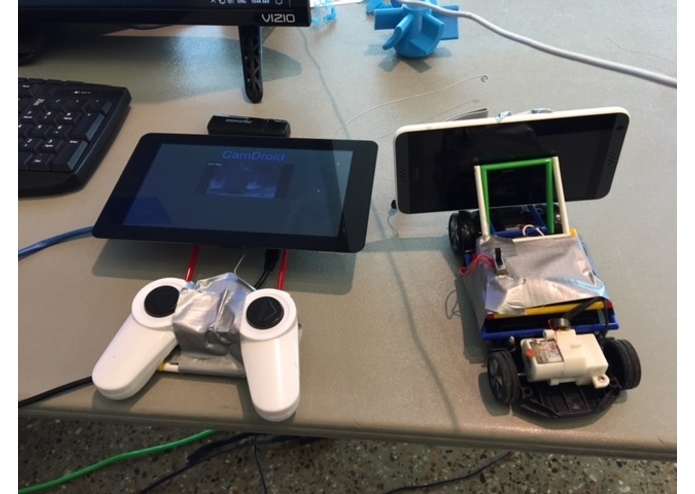 We wanted to create a device that would be able to send a live feed to a homemade tablet. We basically wanted our own drone but at a cheaper cost. 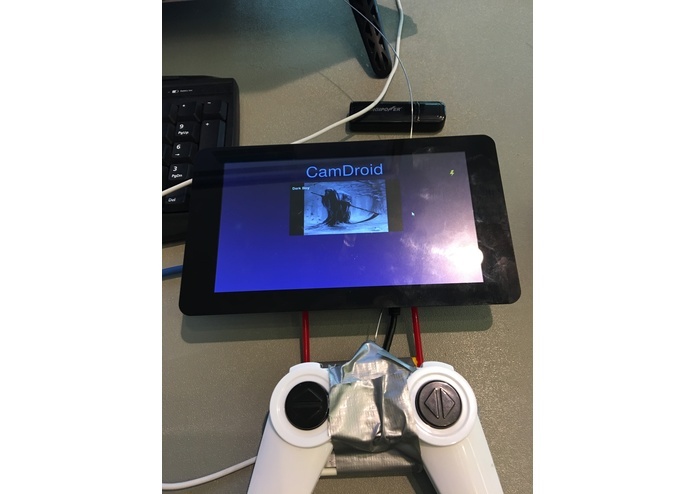 It takes a live video feed and broadcasts it into the raspberry pi tablet. After finishing broadcast, one can save it to their Ustream account. We used a 7" touch screen attached to a raspberry pi 3. We installed Ubuntu on it as a base software. Then we programmed the software using HTML to stream the video feed live. After that, we dismantled an RC car and tried to set up a remote controller. The RC controller wiring didn't allow 5V input. The problem would be that it would burn out. We would need 3.3V coming out of microcontroller. Their is still a video lag problem, but this may be due to the internet speed. We actually built a drone prototype without a casing that works! We learned how play with circuits. 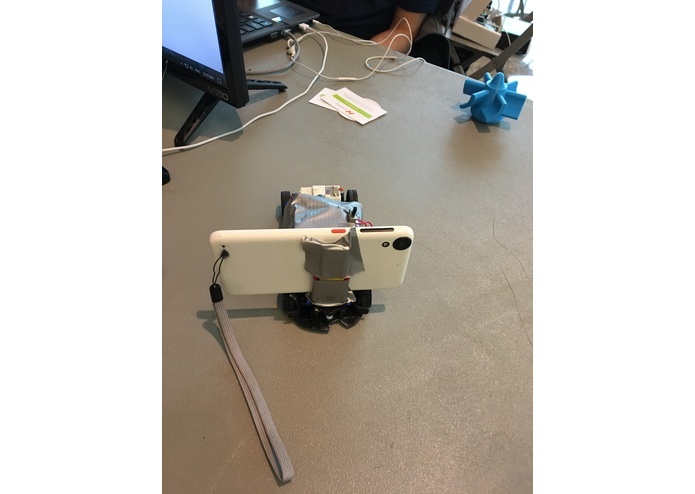 Create an outer shell and provide information of environment that is being filmed. Also, fix the lag problem. 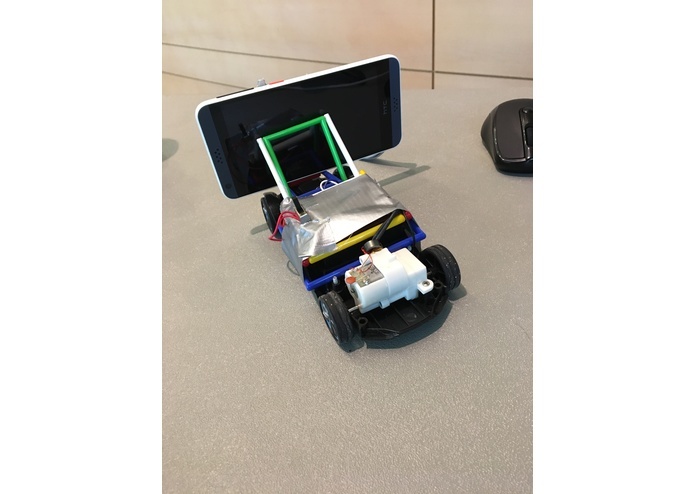 Worked on tinkering with the RC car to fit the phone attachment.